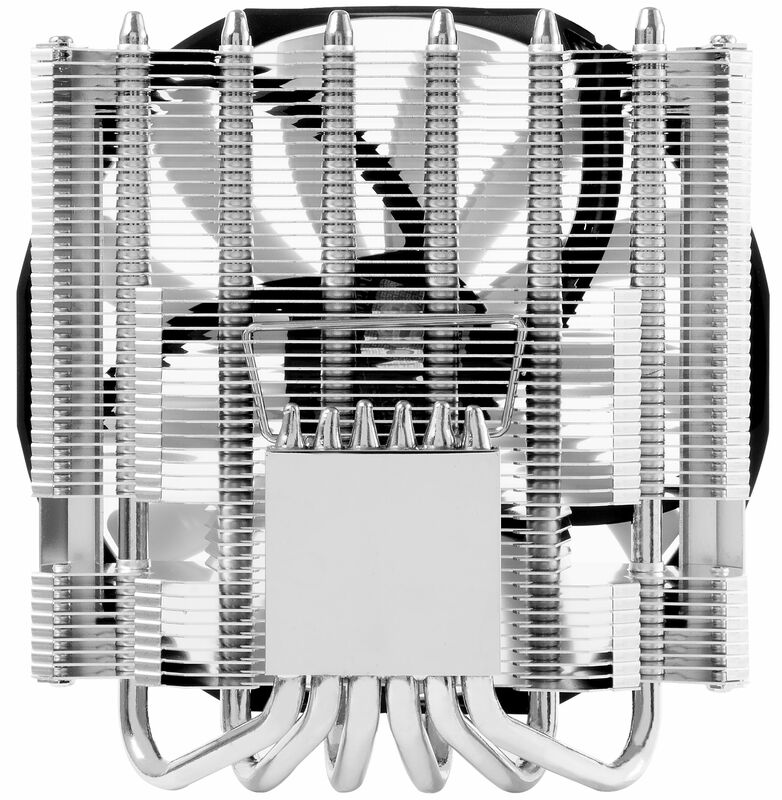 If you are looking for a low profile cooler then Thermalright's AXP-200 Muscle is certainly one to consider. 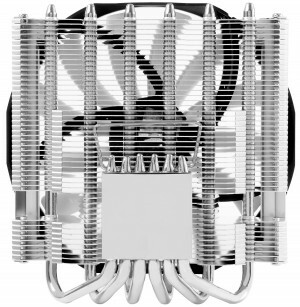 Thermalright's AXP-200 Muscle is a the larger brother of the AXP-100. The 200 versions offers more airflow, thanks to a 150mm fan and it also has a larger surface area, which all adds to a much improved cooling solution. And just like the AXP-100, the AXP-200 Muscle is part of Thermalright's successful "Value" series ideal for practical HTPC cooling with an outstanding price-performance ratio. The "Muscle" is a revised version of the popular HTPC cooler AXP-200. By eliminating costly features, like the refined heatpipe caps and the mounting frame for the 150mm fan the AXP-200 Muscle can be offered at a very attractive price. The omission of the backplate further reduces installation efforts. The most striking feature of this high-end cooler is the very low profile aspect, measuring only 60mm (73 including fan). The AXP-200 Muscle is perfectly suited for compact HTPC systems whose owners expect efficient and quiet cooling. The design of the heat sink is based on the T-shape "down draft" layout, which directs the airflow perpendicular to the motherboard, therefore cooling the surrounding components as well. This provides cooling to not only the CPU but also the voltage converter, memory slots and chipset. In total, the AXP-200 features six nickel plated heatpipes, which are soldered to the base plate to ensure the best possible heat dissipation. The special design of the 49 aluminium cooling fins minimises air resistance that effectively contributes to a reduction in temperatures. The included fan is a high-quality 150mm TY 14013BW fan with a fan speed of 700 – 1300 RPM (± 15%), which is automatically regulated by means of PWM-signal of the motherboard (if supported). The optimal ratio between sound volume (21 - 31 dBa) and cooling capacity is guaranteed at all times, without the need of any manual intervention. The fan sports Thermalright's black and white colors, as do all their "Value" range. The fan covers virtually all of the heatsink, guaranteeing the best possible heat dissipation. The fan is screwed to the heatsink, rather than using clips, making it a secure and stable method of mounting the fan. As a special feature, the cooling capacity of the fan can be enhanced by using a larger fan. The fan assembly of the cooler corresponds to that of conventional 120 mm fans, which allows the installation of a multitude of 120 and even 140mm fans with 120mm fan mounting holes. 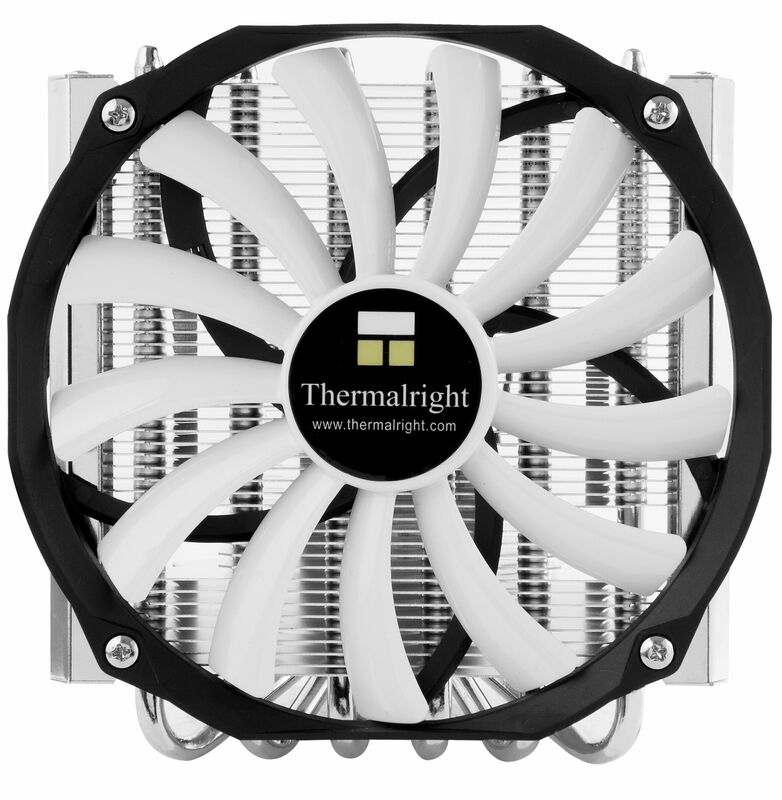 The product is supplied with the excellent Thermalright Chill Factor thermal paste.